9 X 12 in on paper. 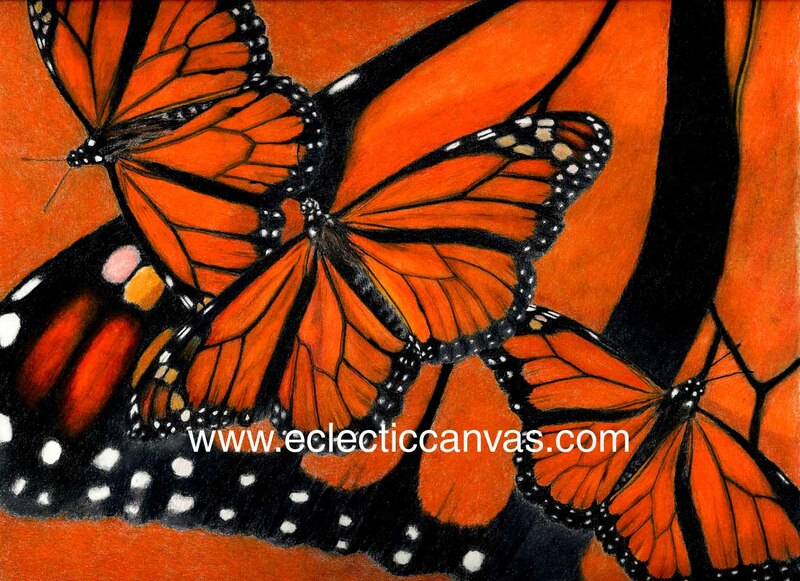 Orange is the color the Monarch butterfly wears. Price of the original includes framing. Matted Giclee limited edition prints are available in two standard matted sizes. For process details, matting materials, or custom sizes see our "Prints" page.